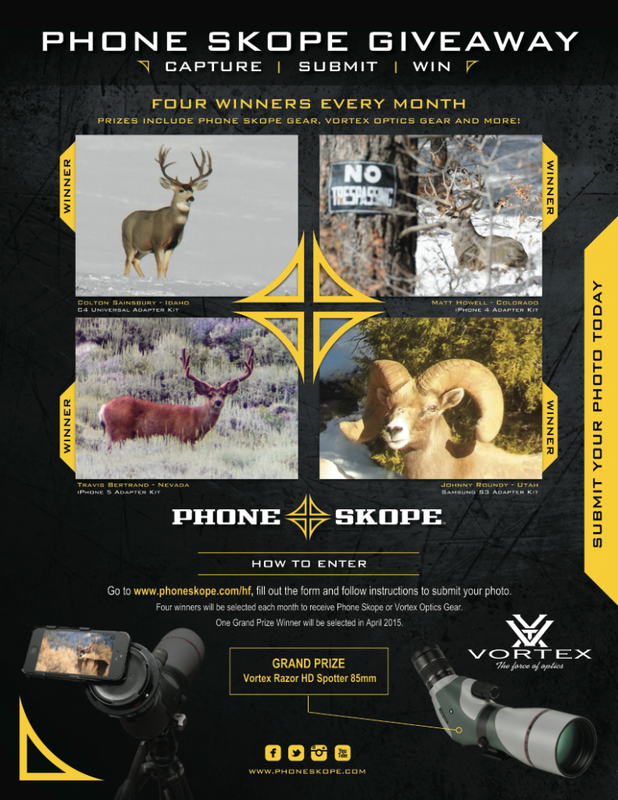 Prizes include Phone Skope gear, and a chance to have your photos shared in a magazine. Simply upload your photo below! Your photo could be selected to be featured in the exclusive Huntin’ Fool magazine!